Summer is here and we’ve started a new Sunday School series, The Power and Practice of Bible Study. 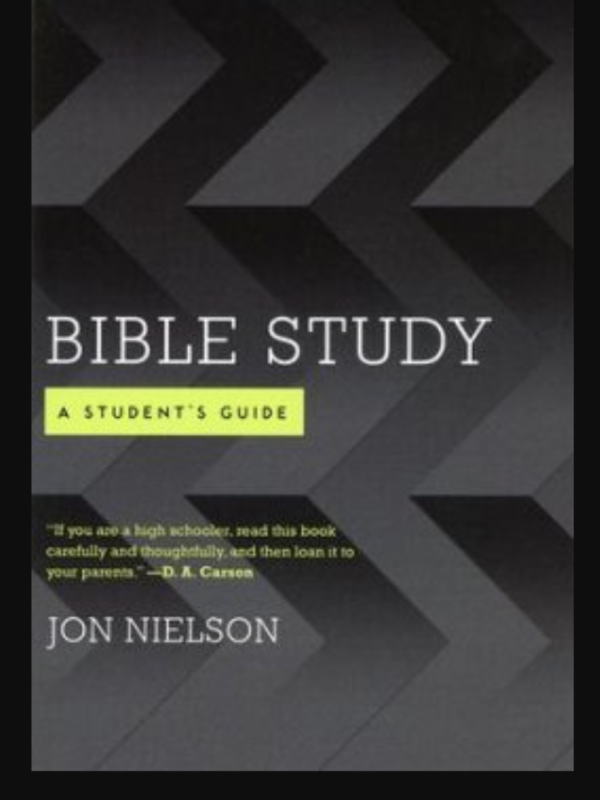 I am using Jon Nielson’s Bible Study: a Student’s Guide as a reference for the class. The first half of the summer we are starting with major doctrines that impact how we view the Bible and how we approach it in Bible study. The last half will be focused more on practical Bible study tools. The first week we focused on the doctrine of Inspiration. Basically it states that God’s word really is God speaking! You may be thinking…”Well, duh! I’ve heard that my whole life.” But think about it. If you really believed every time you cracked open the Scriptures, the God of all Creation was speaking to YOU, wouldn’t it impact how you protect time in your day for it? Wouldn’t it mean you might perk up and pay attention just a bit more? Everything in the Bible is true. It’s from the Holy God and isn’t mere fables. Authorial Intent: Every author had an intent in their writing, not left up to multiple read interpretations but one that the readers must seek out through prayerful study of the Scriptures. Everything in the Bible is on purpose. It is still speaking today! 1. The Nature of Bible study is that it is personal. If it really is God speaking, then the nature of Bible study is personal because God is speaking personally to His creation, to His children. We should expect it to be not mere marching orders for the day but as a means to know God and to know ourselves. 2. The Goal of Bible study is to hear God speak. Like Jacob, we should wrestle with God until He blesses us with a word from Him! We should expect to hear God speak in His word. He certainly is! That’s exactly what His word is. But many times we fail to see that and we settle for mindless reading. 3. The Attitude of Bible is humility. If it is God speaking, then our attitude should be that of a humble request, “Here I am Lord, teach me, speak to me, meet with me!” We don’t come to the Word to tell God what he is saying, we come to hear what He is saying! This past Sunday we moved on to the Power of God’s word. We did this by looking at Genesis 1:1-3 and looked at how God created everything out of nothing – by His Word. He doesn’t use previous raw materials. It is by His very word that something come from nothing, life from death, order from chaos. God’s Word has creative power, to create life from nothing. That means when we open the words of Scripture we aren’t reading a lifeless, powerless book, we are reading the one book that has divine power to change you! Far too often, we open the Bible mindlessly fulfilling our duty to read the Scriptures but we expect little out of it. We would rather be doing so many other things. Or we open it skeptically thinking this won’t have any effect on us. This won’t change us. We need something else. Nielson draws out the fact that we many times, especially in ministry, supplement the words of Scripture with trendy illustrations, relevant movie analogies, or anything that we think will capture people because we fail to trust the Bible really is the power of God. We want people to be moved, and certainly many things like books, movies and good stories will move people and have an effect. But only the Holy Scriptures contain divine power. All of those things are helpful, but many times we are much more prone to be satisfied with cultural relevance than speaking diving power. Don’t settle! Some great passages on the power of God’s word that we used are Jeremiah 23:29, Isaiah 55:10-11, Romans 1:16, 10:17, 2 Timothy 3:15-17, and Hebrews 4:12-13. As we think of that Hebrews passage specifically, God’s word is “living and active, sharper than any two-edged sword.” God’s word isn’t a dead book, mere words on a page. It is God revealing Himself. His words are alive, active, accomplishing God’s purposes in your life today. Whether you feel like they are or not, God promises in Isaiah 55:11 that His word doesn’t return void. It’s on a mission and it will complete its mission. It pierces down to our heart’s motives and intentions. They are like a mirror that expose who we are and directs us to what God desires, changing us all the way more into the beautiful image of Christ through faith! What a blessing God has given us! Have a Respect for the words. Be careful to stick to the actual words of Scripture. Don’t settle for summaries or “main ideas” from others. Every word in Scripture is from God, it is on purpose. So it has value. Make it a point to focus on respecting all of Scripture. God’s Word is sufficient. It is enough! Though Scripture isn’t telling you which Netflix shows to watch or which Crossfit gym to join, it is sufficient to live a life in Christ. It directs us to the heart of God and is our guide for a life of faith in Christ. We study it to draw out principles and applications that we apply to our current day context. It should be what we are always going back to in our lives! Hear God speak this week! Don’t settle for anything less! Make the time to sit and hear His voice and experience the power of God!